The archaeological area of Tuscania (VT) consists of several necropolises (cemeteries) that stretch all around the modern town and that probably corresponded to different settlement cores, which haven't been brought to light yet. The findings testify to the vitality of this center for the duration of the Etruscan civilization, due to its strategic location at the crossroads of important transit routes. Among the most famous grave sites of Tuscania there are the tombs of the gens Curunas and so-called Cave of the Queen (Grotta della Regina) in the necropolis of the Madonna of the Olive (Madonna dell'Ulivo), the home-shape tomb at the Peschiera necropolis and the tomb with a portico of the necropolis of Pian di Mola. Tomb 1 - Pian delle Rusciare Necropolis, Tuscania (VT). 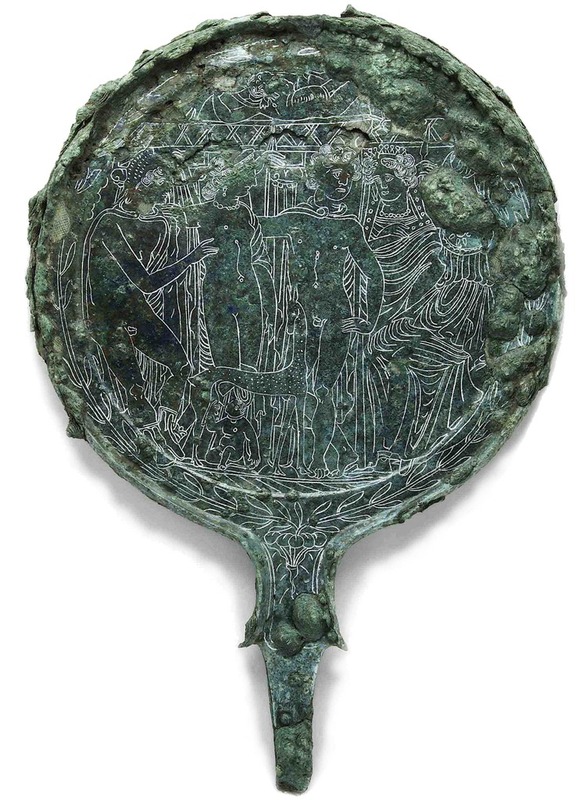 On the right, the bronze mirror with engraved the scene of Telephus breastfed by a doe among other deieties, discovered within the chamber. The excavation in Macchia della Riserva has been ongoing since 2005, affecting two nuclei of necropolis - 'Pian delle Rusciare' and 'Pratino' - with chamber tombs and underground pits of Hellenistic period (late 4th to 1st - century BC), often found intact. The grave goods are made up of numerous ceramic and metallic bronze and iron artifacts some of which are an expression of artistic craftsmanship of high quality as evidenced by the extraordinary discovery of several bronze mirrors engraved with mythological figures and divinities, one of which is still on display at the National Archaeological Museum of Tuscania depicting the breastfeeding of Telephus by a doe (reproduced here above). In 2015 the two cemeteries have become Archaeological Park. Tomb 20 - Pratino Necropolis, Tuscania (VT). Tomb with 47 depositions and over 450 objects. The Etruscan necropolises of Macchia della Riserva near Tuscania - VT, Italy - (Pian delle Rusciare, Pratino and Fosso Caprino tombs) have become an Archaeological Park in 2015. Not only is it possible to visit the necropolises within the forest accompanied by explanatory panels with Q-Codes, but it is also possible to observe the on-going excavation processes during the month of July. 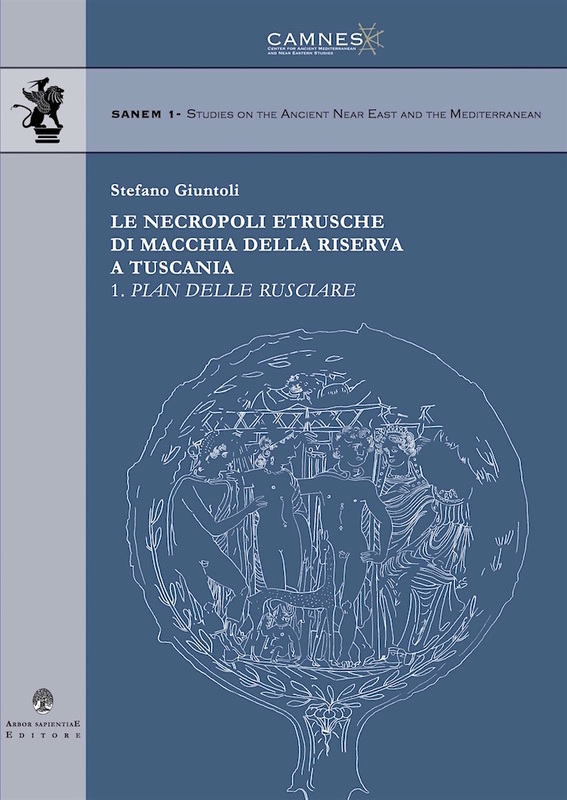 GIUNTOLI, S., 2015, Le Necropoli Etrusche di Macchia della Riserva a Tuscania - 1. Pian delle Rusciare. Studies on the Ancient Near East and the Mediterranean (SANEM) 1. Arbor Sapientiae, Roma. SORRENTINO et al. 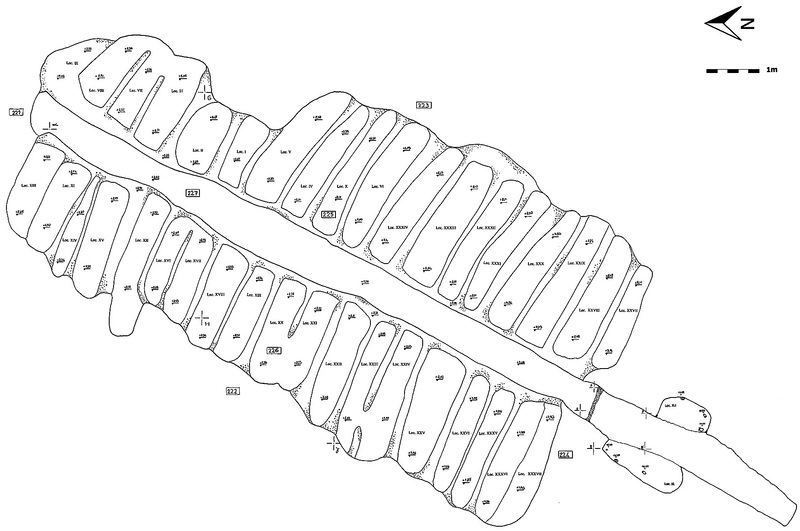 2015, Classification Studies on Etruscan Archaeological Copper-Based Alloy Findings from the Necropolis of ‘Pratino’ in Tuscania. In, Journal of Applied Laser Spectroscopy, vol 2, n.1, 15-19. GIUNTOLI, S., 2014, Gli scavi nelle necropoli etrusche di Macchia della Riserva a Tuscania: un primo inquadramento dei risultati. In, Zaccagnini, R. e Mercuri, L. (es) Etruria in Progress. 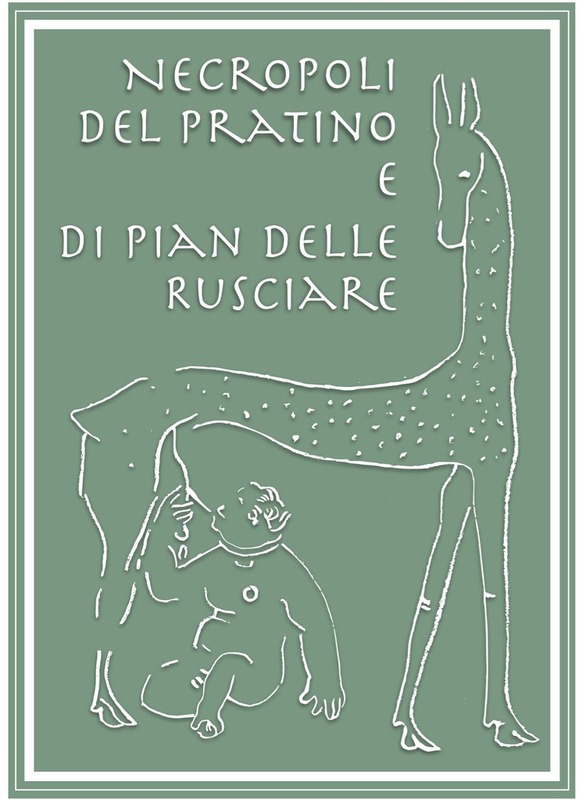 La ricerca archeologica in Etruria meridionale. Gangemi, Roma, 153-164. 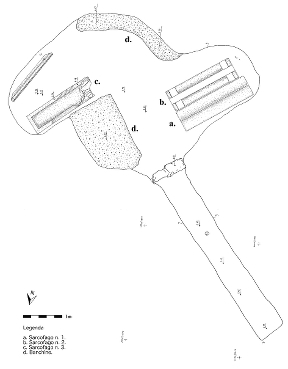 GIUNTOLI, S., 2013, The Etruscan Necropolis of Macchia della Riserva / Pian delle Rusciare at Tuscania: a Preliminary Report. In, Bombardieri, L., D'Agostino, A., Guarducci, G., Orsi, V. and Valentini, S. (eds. ), Identity & Connectivity, Proceedings of the 16th Symposium on Mediterranean Archaeology (Florence, 1-3 March 2012). BAR International Series 2581 (vol. II), Oxford, 857-866. 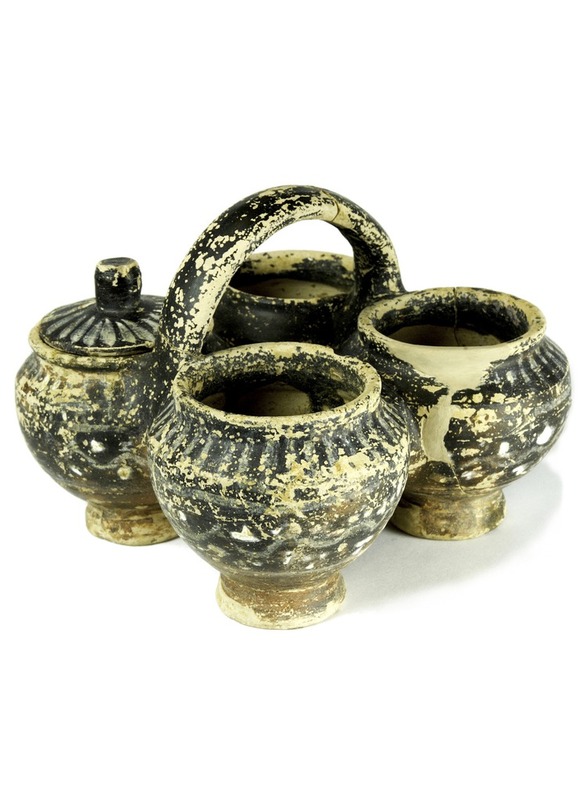 On the right, a Kernos and its lid in overpainted ceramic in Gnathia style. Tomb 4 - Pian delle Rusciare Necropolis, Tuscania (VT). and to the entry fees of the Field School Help us support the project! By learning how to dig you are helping the project to grow!